Click the title of the audio file to listen in your browser or right-click on the Title and click Save-As to save the file to your computer. The audio below is stripped from the videos that were done in 2010 (see 'Download - Video' link above). The 'Long Introduction A&B' session is an introduction to the whole bible and was used to set the scene for the SSoG. It can work as a stand-alone event with or without the SSoG and does not cover SSoG content. The video is much fun. In later sessions (from Stream 2 - Rest' on March 24) the participants presented most of the material. This is the usual way I teach SSoG because it lets people discover the jewels in their own bibles! This content is also available in video format. 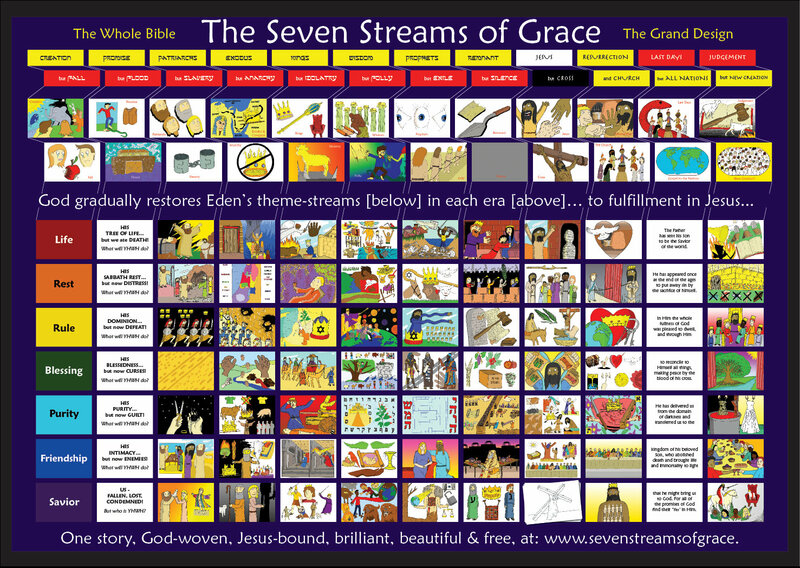 This is a 4 minute audio advertisement in which I gave a summary & sales pitch to interest people in coming to an 8-week Wednesday eves series of ‘The Seven Streams of Grace’!